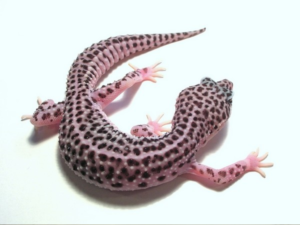 Note: This guide is merely intended to be an explanation of the basic morphs and genetics behind Leopard Geckos. This is not intended to be an all-inclusive list. Genotype: the genetic composition of an animal, regardless of appearance. Simple Recessive: a trait that must be passed on by both parents for it to show up in the offspring. 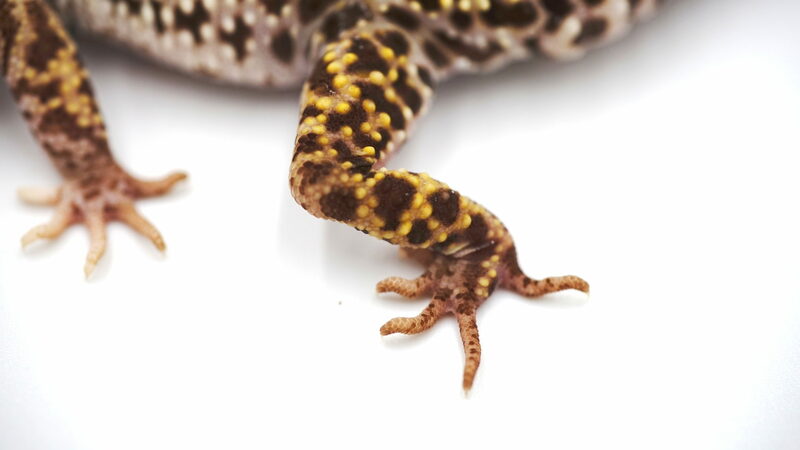 Animals that carry recessive traits but do not express them are referred to as being “het” (heterozygous) for that trait. Polygenic: also known as “line bred” traits. Animals expressing certain desirable characteristics are selectively bred to each other in hopes of reproducing and improving those characteristics. Co-Dominant: a trait that can be passed on by either one or both parents and be visible in the first generation of offspring. Co-Dominant traits can also yield a “Super” form if inherited from both parents. Out-Crossing: breeding unrelated animals to introduce new traits or to increase genetic diversity and prevent genetic defects. 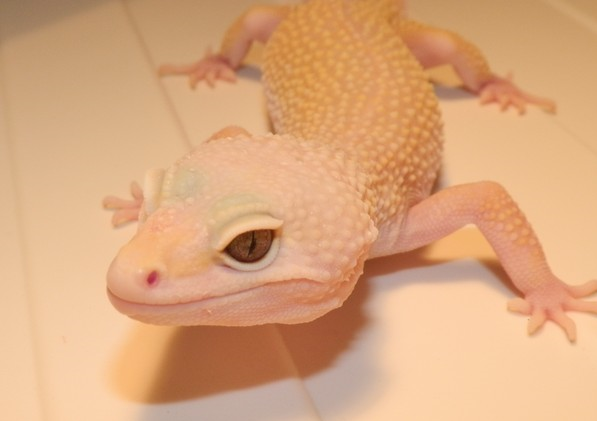 Aurora combination morph of Bell Albino and White & Yellow :Genetics Recessive – Bell Albino and Dominant – White & Yellow. Banana Blizzard combination morph of Blizzard and Murphy Patternless . Genetics :Recessive – Blizzard and Recessive – Murphy Patternless. BEE combination morph of Enigma and Eclipse . Genetics :Recessive – Eclipse and Dominant – Enigma. Bell Albino The Bell Albino is named after Mark Bell . Genetics :Recessive – Bell Albino. Bell Albino Enigma combination morph of Bell Albino and Enigma. Genetics :Recessive – Bell Albino and Dominant – Enigma. Black Hole (Mack snow eclipse enigma) combination morph of Mack Snow , Eclipse and Enigma. Genetics :Recessive – Eclipse ,Co-Dominant – Mack Snow and Dominant – Enigma. 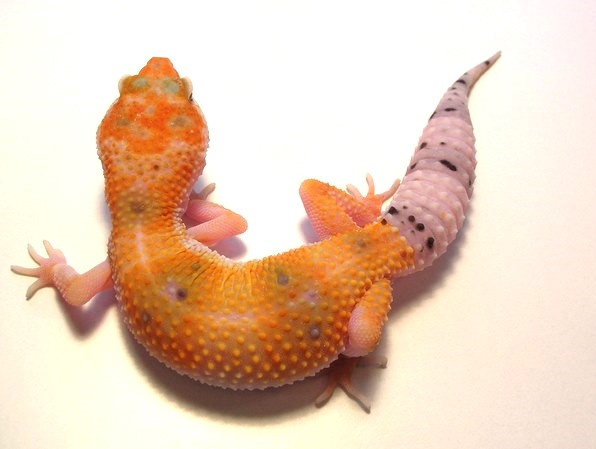 Blazing Blizzard Bell Albino combination morph Product Steve Sykes. Blazing Blizzard Rainwater Albino combination morph of Blazing Blizzard an Rainwater Albino . 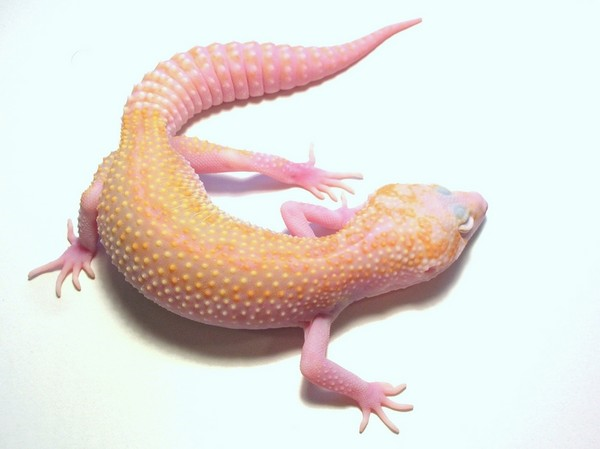 Blazing Blizzard Tremper Albino combination morph of Blizzard and Tremper Albino . Cremesicle combination morph of Super Hypo and Mack Snow . 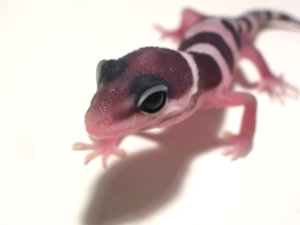 Crystal combination morph of Mack Snow , Eclipse , Rainwater Albino and Enigma . Genetics: Recessive – Rainwater Albino , Recessive – Eclipse , Co-Dominant – Mack Snow and Dominant – Enigma. 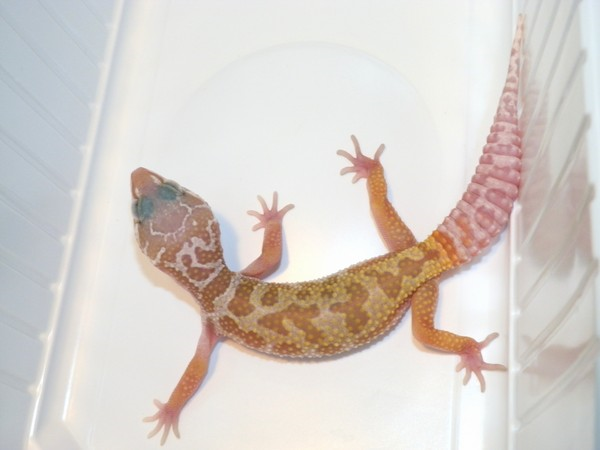 Diablo Blanco combination morph of Blizzard and RAPTOR product Ron Tremper. 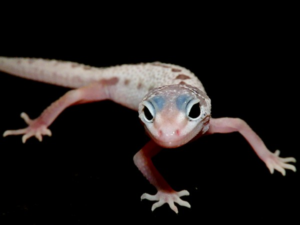 Genetics:Recessive -Tremper Albino,Recessive -Blizzard and Recessive – Eclipse. 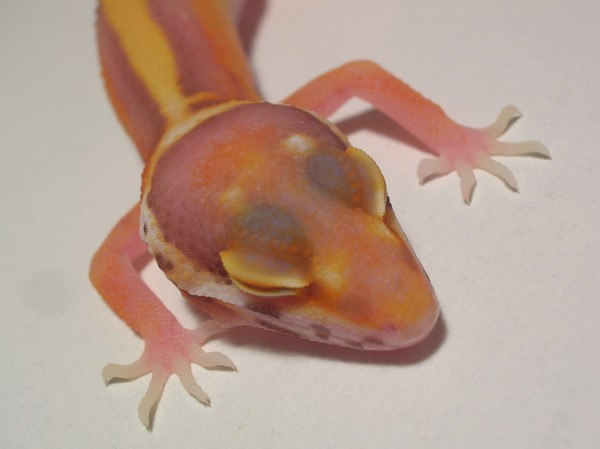 Dreamsickle combination morph of Enigma, Mack Snow, Tremper Albino and Eclipse. 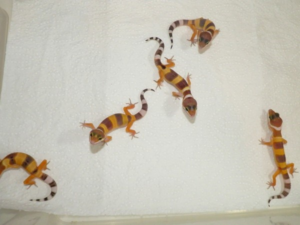 Genetics : Recessive – Tremper Albino, Recessive – Eclipse, Co-Dominant – Mack Snow and Dominant – Enigma. Eclipse The eclipse trait is a recessive eye mutation that causes the pigment in the eyes. Genetics : Recessive – Eclipse. Ember combination morph of Murphy Patternless and RAPTOR. Genetics:Recessive – Tremper Albino, Recessive -Eclipse and Recessive -Murphy Patternless. Enigma Genetics : Dominant – Enigma. Golden eyes (Eyes mutation) Produced by: www.csytreptiles.com Tamás Márta cb:2012 Genetics:??? Gem Snow .Genetics : Co-Dominant – Gem Snow. Gem Snow Bell Albino combination morph of Gem Snow and Bell Albino . Genetics : Recessive – Bell Albino and Co-Dominant – Gem Snow. 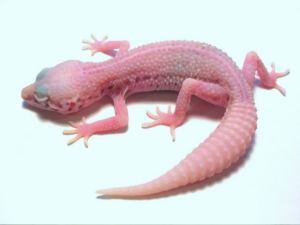 Gem Snow Rainwater Albino combination morph of Gem Snow and Rainwater Albino. Genetics:Recessive – Rainwater Albino and Co-Dominant – Gem Snow. 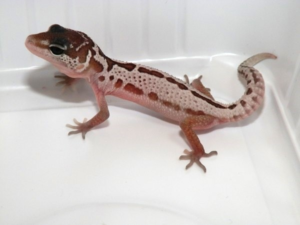 Gem Snow Tremper Albino combination morph of Gem Snow and Tremper Albino . 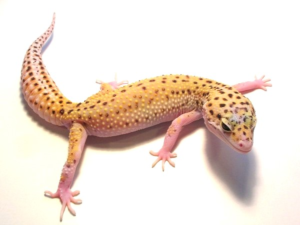 Genetics : Recessive – Tremper Albino and Co-Dominant – Gem Snow. Gem Snow Tremper Albino White & Yellow combination morph of Gem Snow , Tremper Albino and White & Yellow . Genetics: Recessive – Tremper Albino , Co-Dominant – Gem Snow and Dominant – White & Yellow. Gem Snow RAPTOR combination morph of Gem Snow and RAPTOR . Genetics:Recessive -Tremper Albino,Recessive -Eclipse and Co-Dominant -Gem Snow. Gem Snow RAPTOR Enigma combination morph of Gem Snow ,RAPTOR and Enigma. Genetics : Recessive – Tremper Albino , Recessive – Eclipse , Co-Dominant – Gem Snow and Dominant – Enigma. Gem Snow White & Yellow combination morph of Gem Snow and White& Yellow . Genetics : Co-Dominant – Gem Snow and Dominant – White & Yellow. Hypo . Genetics : Dominant – Hypo. Hypo Tug Snow combination morph of Tug Snow and Hypo. Genetics : Co-Dominant – Tug Snow and Dominant – Hypo. Mack Snow produced by John and Amy Mack . Genetics : Co-Dominant – Mack Snow. Mack Snow Bell Albino combination morph of Mack Snow and Bell Albino . Genetics : Recessive – Bell Albino and Co-Dominant – Mack Snow. Mack Snow Rainwater Albino combination morph of Mack Snow and Rainwater Albino . Genetics : Recessive – Rainwater Albino and Co-Dominant – Mack Snow. 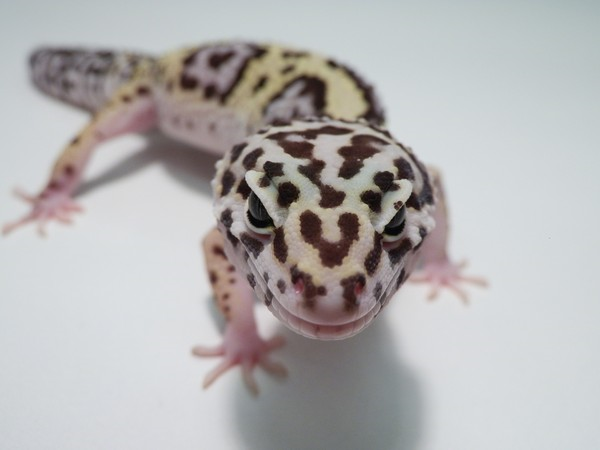 Mack Snow Tremper combination morph of Mack Snow and Tremper Albino . Genetics : Recessive – Tremper Albino and Co-Dominant – Mack Snow. 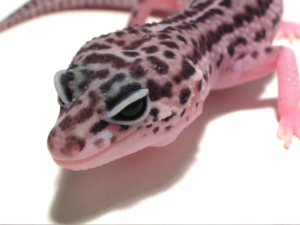 Mack Snow Blizzard combination morph of Mack Snow and Blizzard . Genetics : Co-Dominant – Mack Snow and Recessive – Blizzard. Mack Snow Eclipse combination morph of Mack Snow and Eclipse . Genetics : Co-Dominant – Mack Snow and Recessive – Eclipse. Mack Snow Eclipse Patternless . combination morph of Mack Snow , Eclipse and Murphy Patternless . 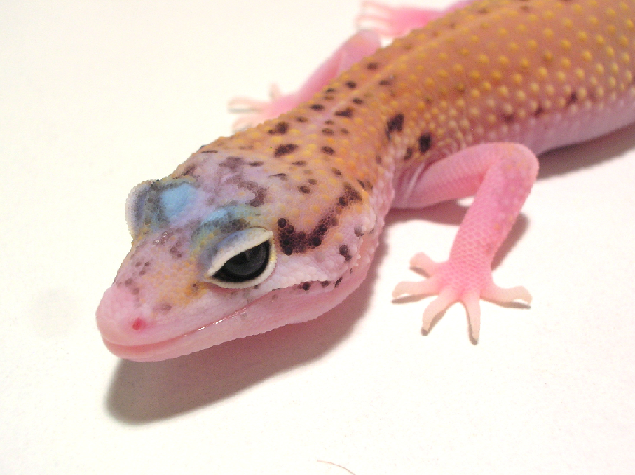 Mack Snow Eclipse White & Yellow combination morph of Mack Snow , Eclipse and White & Yellow . Genetics: Recessive – Eclipse, Co-Dominant – Mack Snow and Dominant – White & Yellow. Mack Snow Enigma combination morph of Mack Snow and Enigma . Genetics : Co-Dominant – Mack Snow and Dominant – Enigma. Mack Snow Patternless combination morph of Mack Snow and Murphy Patternless . Genetics:Recessive -Murphy Patternless and Co-Dominant – Mack Snow. Mack Snow Patternless Bell Albino combination morph of Mack Snow ,Murphy Patternless and Bell Albino . Genetics : Recessive – Bell Albino , Recessive – Murphy Patternless and Co-Dominant – Mack Snow. 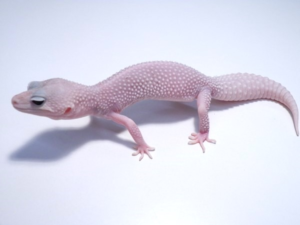 Mack Snow Patternless Rainwater Albino combination morph of Mack Snow , Murphy Patternless and Rainwater Albino . Genetics : Recessive – Rainwater Albino ,Recessive – Murphy Patternless and Co-Dominant – Mack Snow. Mack Snow Patternless Tremper Albino combination morph of Mack Snow , Murphy Patternless and Tremper Albino . 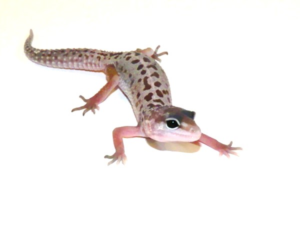 Genetics: Recessive -Tremper Albino ,Recessive – Murphy Patternless and Co-Dominant – Mack Snow. Mack Snow RADAR combination morph of Mack Snow, Bell Albino and Eclipse. Genetics :Recessive -Bell Albino , Recessive – Eclipse and Co-Dominant – Mack Snow. 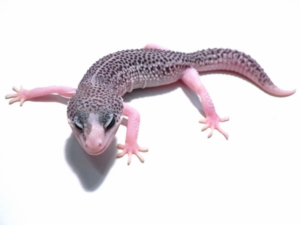 Mack Snow RAPTOR combination morph of Mack Snow, Eclipse and Tremper Albino . 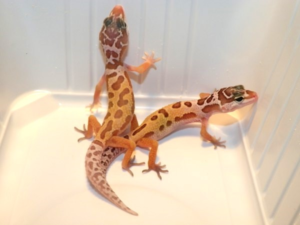 Genetics :Recessive – Tremper Albino,Recessive -Eclipse and Co-Dominant -Mack Snow. 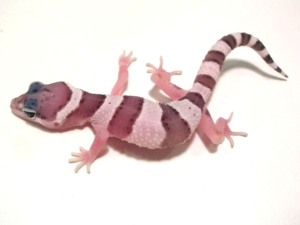 Mack Snow Typhoon combination morph of Mack Snow , Eclipse and Rainwater Albino Genetics: Recessive – Rainwater Albino, Recessive – Eclipse and Co-Dominant – Mack Snow. Mack Snow White & Yellow conbination morph Mack Snow and White and Yellow . Genetics:Co-Dominant – Mack Snow ,Dominant – White & Yellow . Murphy Patternless produced by Pat Murphy 1991. Genetics: Recessive – Murphy Patternless . Genetics: Recessive – Murphy Patternless and Recessive –Eclipse. Nova combination morph Enigma and RAPTOR. 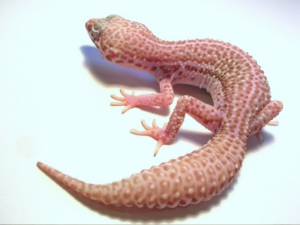 Genetics: Recessive – Tremper Albino , Recessive – Eclipse and Dominant – Enigma . 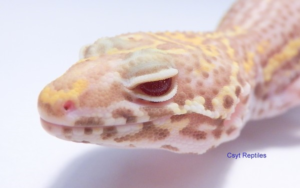 RADAR conbination morph Bell Albino and Eclipse . Produced by JMG Reptiles 2007. Genetics:Recessive -Bell Albino and Recessive – Eclipse . 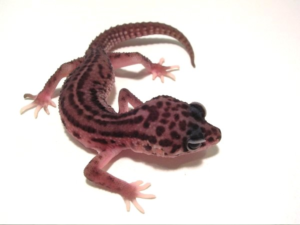 RADAR Enigma conbination morph Bell Albino , Eclipse and Enigma . Genetics: Recessive – Bell Albino , Recessive – Eclipse and Dominant – Enigma. Rainwater Albino produced by Tim Rainwater 1998 . Genetics: Recessive – Rainwater Albino. Rainwater Albino Patternless combination morph Rainwater Albino and Patternless. Genetics:Recessive -Rainwater Albino and Recessive -Murphy Patternless. 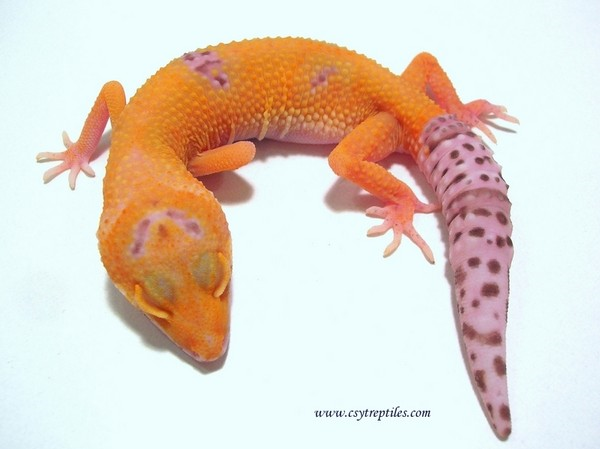 RAPTOR produced by Ron Tremper , conbination morph Tremper Albino and Eclipse. 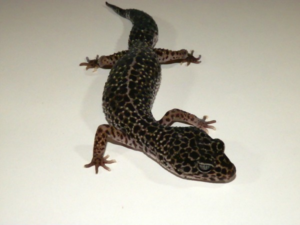 Genetics:Recessive -Tremper Albino and Recessive – Eclipse. Snowflake combination morph Mack snow, Murphy patternless and RAPTOR . 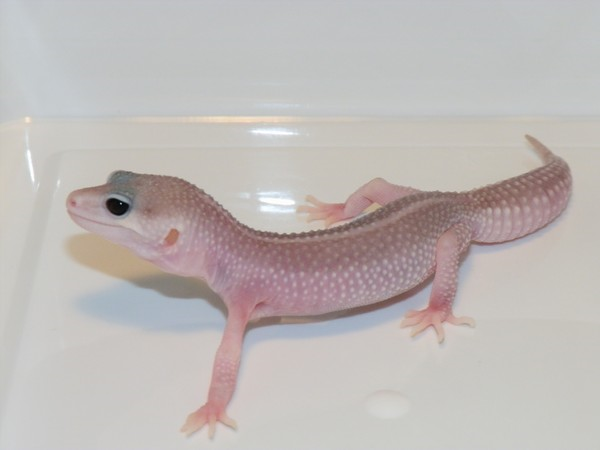 Genetics:Recessive – Tremper Albino , Recessive – Eclipse, Recessive – Murphy Patternless and Co-Dominant – Mack Snow. Stealth combination morph Eclipse, Bell Albino , Mack Snow and Engima . Genetics:Recessive – Bell Albino,Recessive – Eclipse,Co-Dominant – Mack Snow and Dominant – Enigma. 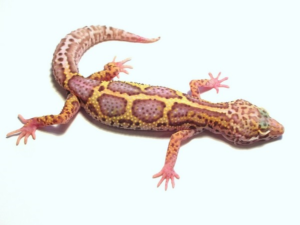 Sunglow Bell Albino combination morph Super Hypo Tangerine and Bell Albino Genetics:Recessive – Bell Albino and Dominant – Hypo . Super Nova combination morph Super Snow, Enigma and RAPTOR . Genetics:Recessive – Tremper Albino,Recessive – Eclipse,Co-Dominant – Super Snow and Dominant – Enigma. Super RADAR combination morph Super Snow, Bell Albino and Eclipse. Genetics:Recessive – Bell Albino,Recessive -Eclipse and Co-Dominant -Super Snow. Super RAPTOR combination morph Eclipse and Tremper Albino (RAPTOR) and Mack Snow. 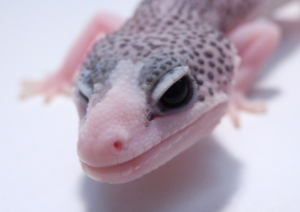 Genetics:Recessive -Tremper Albino,Recessive – Eclipse and Co-Dominant – Super Snow. Super Snow . Genetics: Co-Dominant – Super Snow. Super Snow Bell Albino . Genetics: Recessive – Bell Albino and Co-Dominant – Super Snow. Super Snow Bell Albino Enigma . Genetics: Recessive – Bell Albino , Co-Dominant – Super Snow and Dominant – Enigma. Super Snow Rainwater Albino .Genetics: Recessive – Rainwater Albino and Co-Dominant – Super Snow. 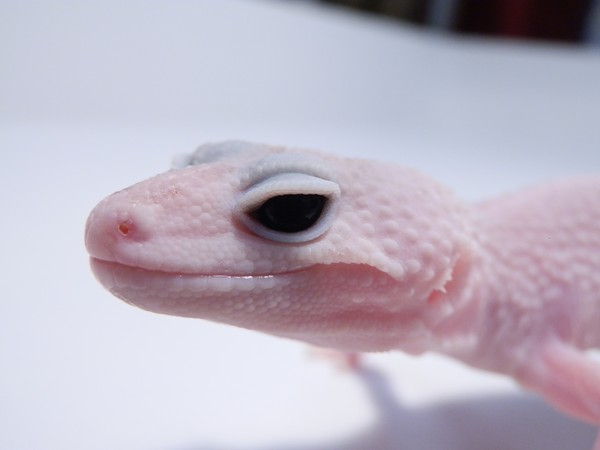 Super Snow Rainwater Albino Enigma.Genetics: Recessive -Rainwater Albino,Co-Dominant -Super Snow and Dominant – Enigma. Super Snow Tremper Albino. 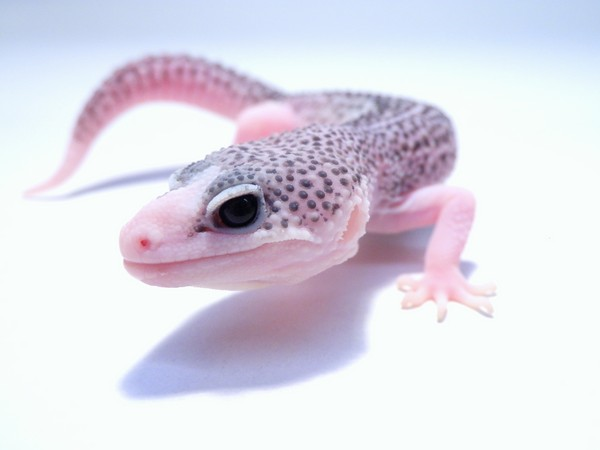 Genetics: Recessive – Tremper Albino and Co-Dominant – Super Snow. Super Snow Tremper Albino Enigma.Genetics: Recessive – Tremper Albino,Co-Dominant – Super Snow and Dominant – Enigma. Super Snow Bell Albino Blazing Blizzard . Genetics:Recessive – Bell Albino , Recessive – Blizzard and Co-Dominant – Super Snow. Super Snow Rainwater Albino Blazing Blizzard .Genetics:Recessive -Rainwater Albino , Recessive – Blizzard and Co-Dominant – Super Snow. 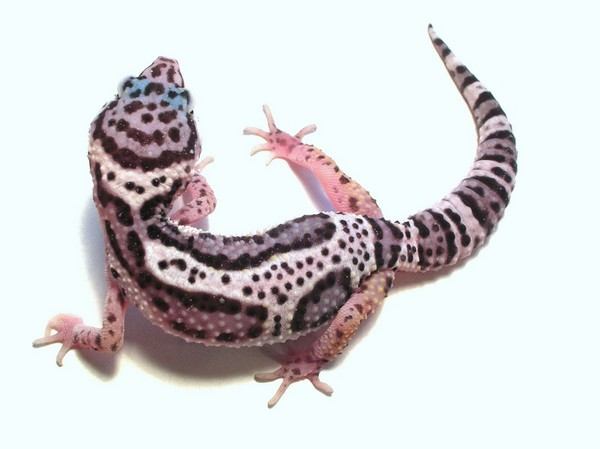 Super Snow Tremper Albino Blazing Blizzard .Genetics: Recessive – Tremper Albino, Recessive – Blizzard and Co-Dominant – Super Snow. Super Snow Blizzard .Genetics: Recessive – Blizzard and Co-Dominant – Super Snow. Super Snow Enigma . Genetics: Co-Dominant – Super Snow and Dominant – Enigma. Super Snow Enigma Eclipse .Genetics: Recessive – Eclipse , Co-Dominant – Super Snow and Dominant – Enigma. Super Snow Patternless . Genetics: Co-Dominant – Super Snow and Co-Dominant – Tug Snow . Genetics: Co-Dominant – Super Snow ,Recessive – Eclipse and Recessive – Murphy Patternless. Super Snow Bell Albino Patternless. Genetics: Recessive – Bell Albino , Recessive – Murphy Patternless and Co-Dominant – Super Snow. Super Snow Rainwater Albino Patternless .Genetics: Recessive – Rainwater Albino , Recessive – Murphy Patternless and Co-Dominant – Super Snow. Super Snow Tremper Albino Patternless .Genetics: Recessive – Tremper Albino , Recessive – Murphy Patternless and Co-Dominant – Super Snow. Super Stealth . Genetics: Recessive -Bell Albino , Recessive -Eclipse , Co-Dominant -Super Snow and Dominant – Enigma . Super Typhoon . Genetics : Recessive -Rainwater Albino , Recessive – Eclipse and Co-Dominant – Super Snow . Total Eclipse Super snow eclipse „GALAXY”. Genetics: Recessive – Eclipse and Co-Dominant – Super Snow . Tremper Albino . 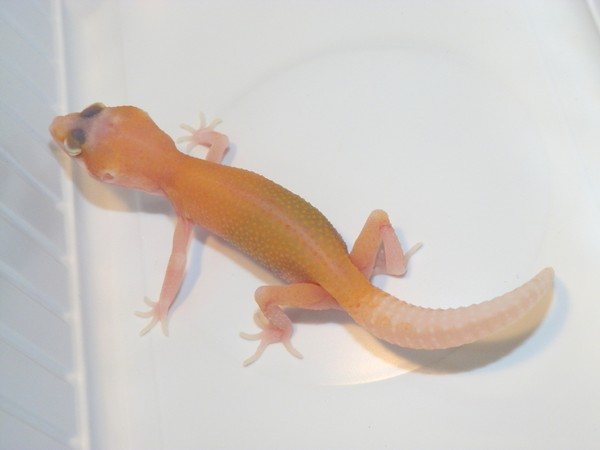 Genetics : Recessive – Tremper Albino . Tremper Albino Enigma . 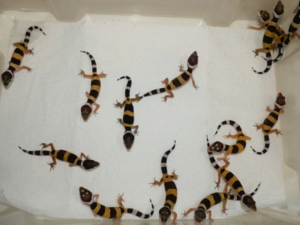 Genetics : Recessive – Tremper Albino and Dominant – Enigma . Tremper Albino Hypo Enigma .Genetics : Recessive – Tremper Albino , Dominant – Hypo and Dominant – Enigma . Tremper Albino Patternless . 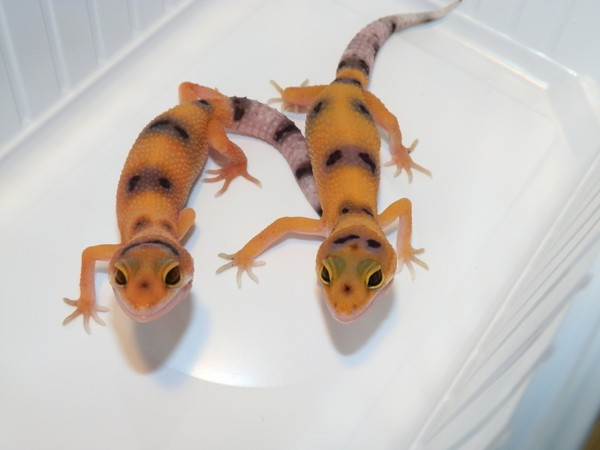 Genetics : Recessive – Tremper Albino and Recessive – Murphy Patternless. Tug Snow . Genetics : Co-Dominant – Tug Snow . Tug Snow Eclipse . Genetics : Recessive – Eclipse and Co-Dominant – Tug Snow . Tug Snow Enigma . Genetics : Co-Dominant – Tug Snow and Dominant – Enigma . Typhoon . Genetics : Recessive – Rainwater Albino and Recessive – Eclipse . Vortex . Genetics :Recessive – Rainwater Albino , Recessive -Eclipse , Recessive -Murphy Patternless and Dominant – Enigma . White & Yellow . Genetics : Dominant – White & Yellow . White & Yellow Bell Albino Enigma . Genetics : Recessive – Bell Albino , Dominant – Enigma and Dominant – White & Yellow . White & Yellow Enigma . Genetics : Dominant – Enigma and Dominant – White & Yellow . 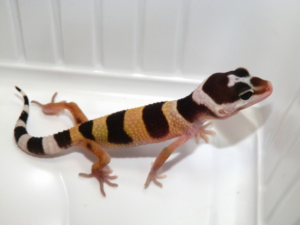 White & Yellow Tremper Albino Enigma . 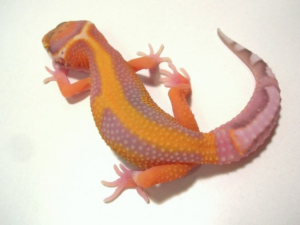 Genetics : Recessive -Tremper Albino , Dominant -Enigma and Dominant – White & Yellow . 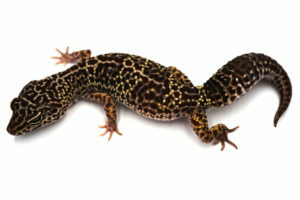 Wild Type .Wild Type leopard geckos are also known as ‘normals’. Genetics: : ? www.csytreptiles.com 2019.COPYRIGHT Tamás Márta All images Owner !!!!! Cookie-k: Az oldal látogatásakor – a felhasználók külön értesítése nélkül – a szerver egyedi azonosító fájlt (cookie) helyezhet el a felhasználók számítógépén. A cookie-k a felhasználók technikai azonosításának megkönnyítését szolgálják, azok más célra nem kerülnek felhasználásra. A cookie-fogadását a felhasználók – böngészőjük beállításai alapján – letilthatják. Szerzői jogok : A http://www.csytreptiles.com/ weboldal, illetve annak esetleges aldomainjei (a továbbiakban együtt: weboldal), valamint az azon található valamennyi tartalom szerzői jogvédelem alá tartozik ( A szerzői jogról szóló 1999. évi LXXVI. törvény (Szjt.) ) a szerzői jogok gyakorlására kizárólag az Csytreptiles (a továbbiakban: a Tulajdonos: Márta Tamás) jogosult. Ennek megfelelően az oldalon elhelyezett valamennyi szerzői jogvédelem körébe tartozó tartalom , ( szöveg, grafika, fotó, audio- vagy videoanyag, stb ) jogosulatlan felhasználása az Csytreptiles (Tulajdonos) szerzői jogainak megsértését jelenti, melynek polgári és büntetőjogi következményei lehetnek.